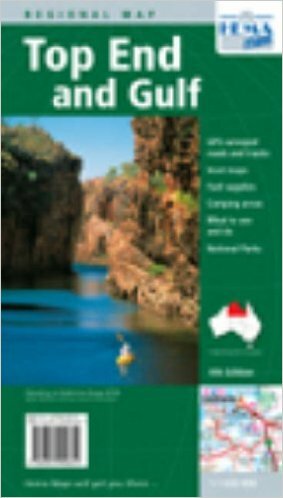 On this page you can pick your Cape York maps. First, there are HEMA maps. They are the best ones in Australia and the only ones I use and recommend. 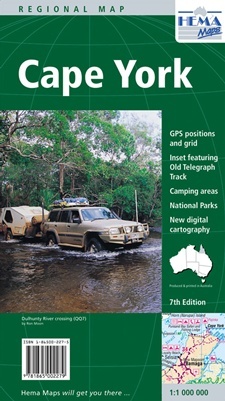 Highest up are the maps of Cape York. 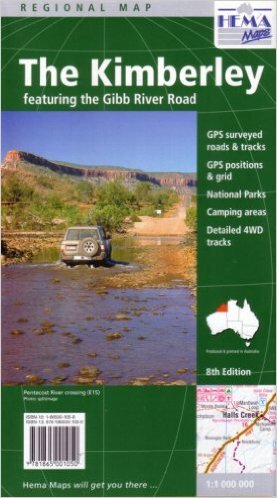 Then there are the maps that you may need on your way to Cape York. 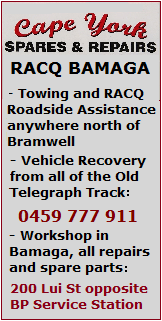 You may come up here along the eastern coast of Australia, or you may come through the Outback Queensland. Or you may come from the west, through the Gulf Savannah, the Top End of Northern Territory and the Kimberley region of Western Australia. All the maps that you may need are on this page. This is the best map of Cape York that you can find anywhere. 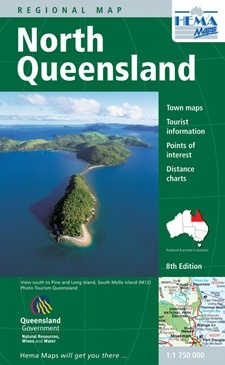 It is comprehensive, and covers the whole Cape York Peninsula from Cairns to the Tip. All the roads, townships, road houses and stations are marked, with icons for services, even phone numbers. This is the map that I use and it is all you will ever need on your trip - you have everything covered in the greatest detail. 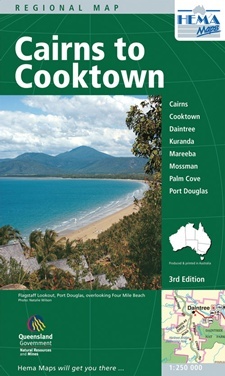 This is a great map that you can use if you are not going to do the whole peninsula, but only the southern parts until Cooktown. The road until Cooktown is now sealed so this is the only part of Cape York that you can do in a two wheel drive vehicle without wrecking it. Lakefield is the largest national park in Cape York and second largest in Queensland. It takes up quite a junk of the Cape York peninsula, and many people treat it as a destination on its own and spend their whole holidays camping around here. There are many different camping grounds, and heaps of space and some great wildlife watching. This is a great detailed map of the national park. 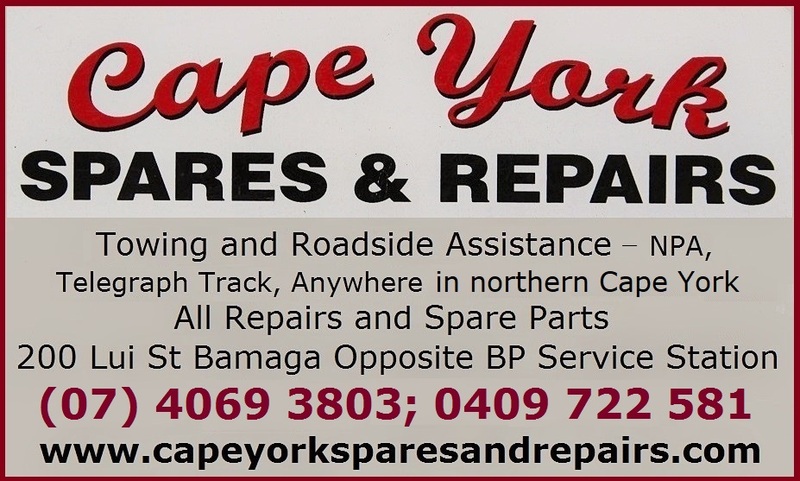 If you are driving to Cape York from the south, this is a very good map of the area just south of the peninsula. 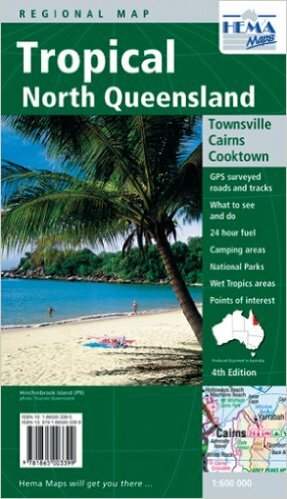 It covers Cooktown, Cairns and Townsville with surroundings and includes tourist information, places of interest, national parks, rest stops and camping areas, as well as GPS surveyed roads and 24 hour fuel stations. This is the next map to the south, if you still travel this far along the coast, and it covers the areas to the south until Mackay region. 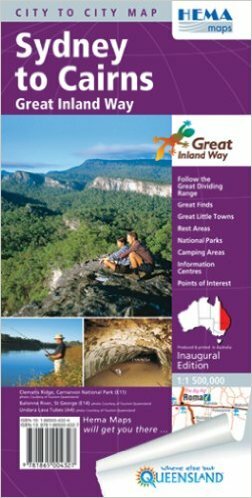 It includes town maps, the area's tourist information, points of interest, distance charts and national parks, including facilities. 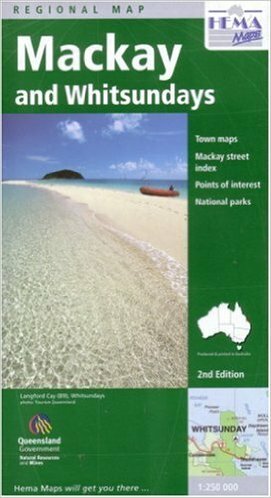 This is the map that covers the Mackay area, including one of Queensland's very popular destinations - Airlie Beach and the Whitsundays. 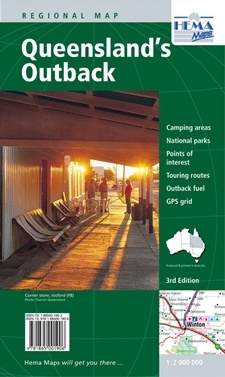 It also covers the area's national parks and other points of interest, as well as town maps and Mackay street index. Great map if you drive up along the coast. This is a useful map if you drive from Brisbane to Cairns. It covers the whole east coast of Queensland, up to Cairns, including Brisbane, Sunshine Coast, Fraser Coast, Capricorn Coast, Mackay region, Townsville region and Cairns. It includes tourist attractions, tourist information centres and youth hostels, as well as rest areas, distance grids and 24 hour fuel stations. This is a handy map if you drive from Sydney up along the coast. It covers the whole Queensland coast (see the description above), as well as the northern New South Wales coast and places like Newcastle, Lake Maquarie, Coffs Harbour and Byron Bay. 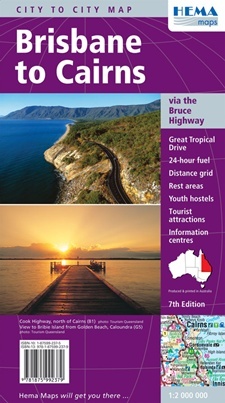 It includes points of interest and tourist information centres, as well as rest areas, camping areas and national parks. In case you come to Cape York the inland way, through the Outback Queensland, here is the map. 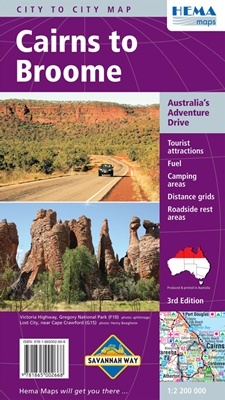 It covers the central and western Queensland, and includes points of interest, national parks and camping areas, fuel stations, touring routes and GPS grid. Really handy in the outback. ln case you drive from the west, you will drive through the Top End of Northern Territory, and the Gulf Savannah area. They are both beautiful tropical areas and destinations on their own. Here is the best map that covers both areas. The map includes townships, national parks, driving routes, distances and fuel stations - everything that you need in this kind of areas. If you drive all the way from the west coast, you will drive along the so-called Savannah Way. Its western end is in Broome in the western end of the Kimberley, and its eastern end is in Cairns. It passes through the Kimberley, the Top End of Northern Territory, and Gulf Savannah. The map includes everything you need on this great drive from coast to coast. If you do come from the Savannah Way, you probably already know that the Kimberley region of Western Australia is of course a destination on its own and it is a destination that in many ways is very similar to Cape York. Like Cape York, it is one of Australia's last frontiers and many people who do one of them, the following year they want to do the other. Here is the HEMA Kimberley map. 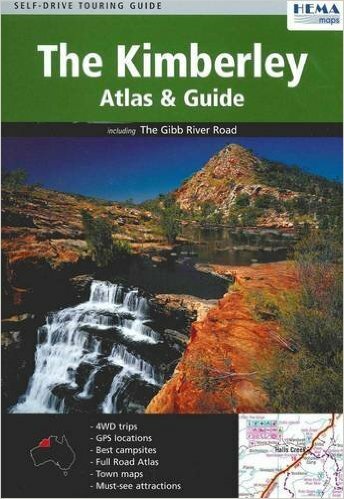 Here is also the Kimberley Atlas and Guide. It is based on a HEMA map and made by HEMA, and it gives you a bit more information about the area and its attractions.